IF I WAS THE PRESIDENT. Sung by Marlow and Regan. And for each one a husband I'd get. If I only had my own way. Could not hear or see what they say. I'd throw open the doors of saloons to the poor. 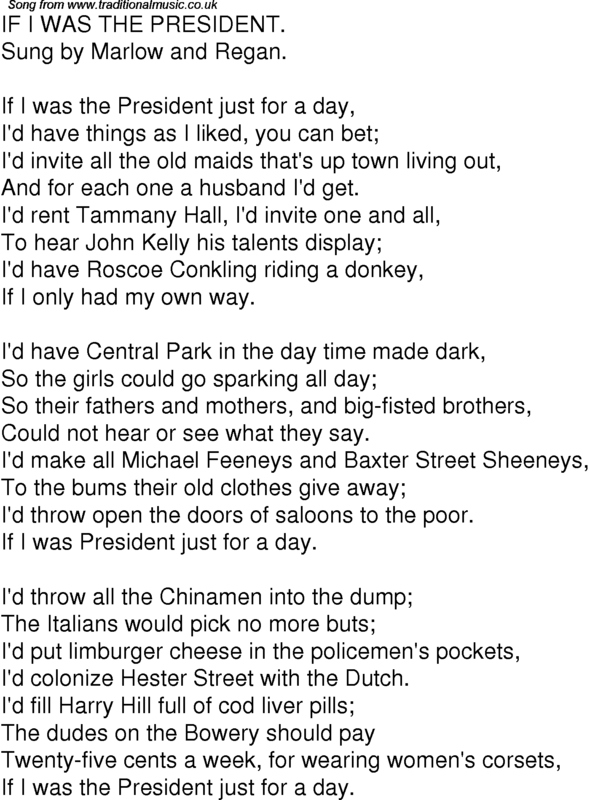 If I was President just for a day. I'd colonize Hester Street with the Dutch. If I was the President just for a day.